Christopher Priest on a Spider-title again, huh? That’s enough to make me at least curious about the book. 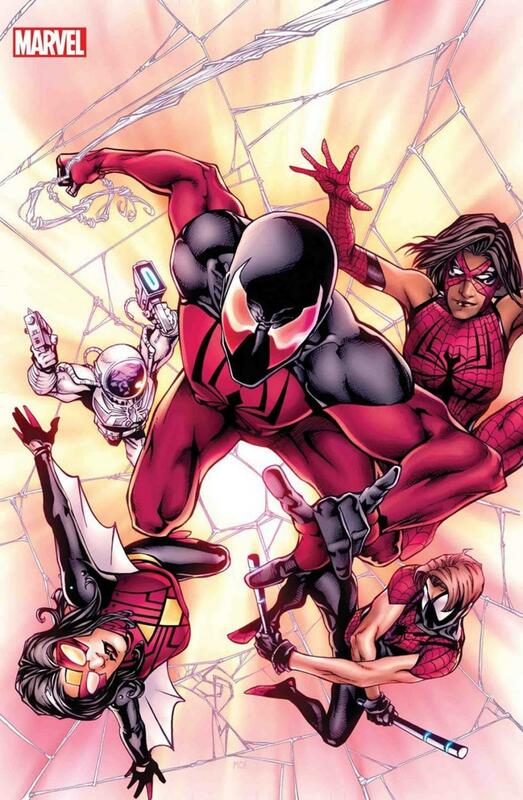 Scarlet Spider, two new characters, suicide mission… Yeah, could be fun. Let’s check it out. Much like my review for Avengers Halloween Special, also out this week, my main problem with Spider-Force #1 is the structure. It starts out with everything going terribly, and then we have a series of flashbacks to show how we got there. What makes it weird is that the issue ends with a development that’s taking place before the issue began, but we don’t see any trace of it later (earlier). Of course, there’s lots of ways that it could work out, but for now, it left me kind of confused. As for the characters, if you didn’t like Kaine before, you might hate him now. He screws over everyone in this story, most importantly the relatively new mother Jessica Drew. And even after he seemingly seals their fate, they save his life. If it were our Peter Parker, that would definitely feel appropriate, but these spider-people are all very far from our Peter Parker. As for the new recruits, Spider-Kid is an angsty, barely-teenage anti-hero, and honestly, I just don’t have much to say about him besides that for now. Same goes for the other guy, who would be a spoiler to name since his arrival is the cliffhanger ending– just kidding, he's on the cover. Is that Flash Thompson? Still not much to say... Sorry for the cop-out answer, but maybe next issue will give me more to work with. Kaine has a man-bun. So that’s something. It’s new, as far as I’m aware, and I don’t know how to feel about it. Good job, pencilers and inkers, on those luscious locks, but I don’t know if that kind of hair is really Kaine’s thing. Like I said before, this story is about a suicide mission, and I wish characters facing certain death (yeah, right) looked a bit more convincingly scared or furious. There’s a commendable effort there, but it feels like it’s held back just a little. Action is great, though. Everything feels thought out and the panel layout is usually doing something interesting. Guru sells the hopeless radioactive wasteland with very appropriate tones, but I wouldn’t be surprised if somebody told me they thought the book looked a little too washed out for them.